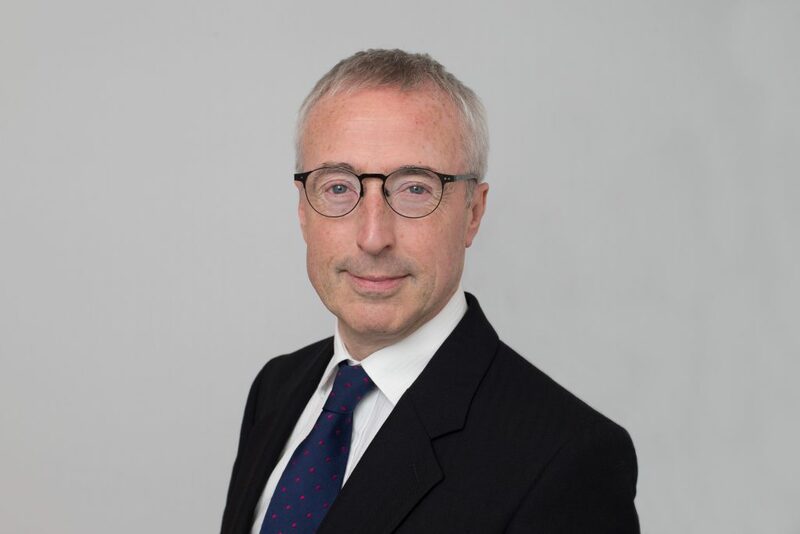 On Monday 10 September at 6pm Sir Martin Donnelly gave a lecture at the University of Glasgow: ‘Britain after Brexit: the political and economic choices ahead’. The lecture was part of the Policy Scotland series of Brexit lectures. The full text of Sir Martin’s lecture is reproduced below. Is the United Kingdom capable of managing the process of leaving the European Union without fundamental and irreversible change to its internal political structures? And what effect will Brexit have on government in Westminster, Edinburgh and Belfast, and the relations between them? I want to review briefly the underlying political and economic causes of Britain’s rupture with the European Union; the choices we now face over the medium term; and the wider consequences of those decisions for the type of liberal democratic society we enjoy today. I will leave the unedifying tactical politics of the Brexit negotiations for our discussion. A referendum does not include a question about motivations. But among the many factors contributing to the 2016 referendum result were undoubtedly a protest against the impact of economic dislocation over many decades, and a more recent concern about immigration, which in turn was a proxy for issues of national identity. The roots of the UK’s unbalanced economic structures go back a long way – to at least the 1970s, a decade of low investment and productivity. The 1980s saw a disruptive reduction to our traditional industries just as the UK become the most centralised country in western Europe. At a time when France was making an effort to move power out of Paris to new regional structures, fiscal centralisation in London at the expense of local government became entrenched. So when we came to the sunnier economic years lasting from the early 1990s to the 2008 financial crash there was a backlog of social and economic exclusion across the UK which London based central government found hard to engage with effectively. New high tech and service sectors began to flourish, but around universities and existing tech hubs rather than in former industrial areas; and with a heavy focus on London and the wider south east. From the 1990s globalisation further integrated global supply chains. Technological advance also changed how we communicate, shop and increasingly how we produce. The digital economy arrived in the first decade of this century, and online data management became the new infrastructure. It is worth reminding ourselves of the scale of this change. First: economic globalisation, epitomised by the rise of China. In 1980 China was a negligible part of the global economy, smaller than Belgium in trade terms. Today China is the world’s largest exporter (17%), with a GDP over $11 trillion of global output, more than four times bigger than the UK. It has become the second largest economy in the world, fully integrated into global supply chains in sectors from steel to telecoms. That process is not going to reverse, so Chinese investment and market power are part of the reality of this century. Second: people. The global population in 1980 was around 4.5 billion. Today it is 7.5 billion. In 20 years it will be 9.5 billion. It will then level off somewhere over 10 billion. The sustained rise in global migration in recent decades is not therefore surprising. It has been facilitated by increases in income for the very poorest, and falling transport costs, as well as labour market needs in richer economies. From the 1990s immigration to the UK and other European countries, firstly from conflict areas and then from 2004 from new EU members, also increased. This migration has not proved easy to explain in terms that those already feeling excluded could easily reconcile with their own economic anxieties, and concerns about pressures on public services. The UK’s centralised political system was slow to understand that the benefits and costs of economic migration were unevenly distributed. For a period the combination of low cost easily available labour in Asia, cheap credit, and growing global markets allowed successive UK governments to produce over-optimistic growth projections and budgets that assumed cyclical tax revenue from the booming City would carry on forever, allowing increased public spending without tax rises. But after the 2008 crash the UK faced an unsustainable deficit and the need for fast and difficult adjustment measures to stop the economy, and the exchange rate, falling off a cliff. These cut the real income of working families, and the value of social benefits, while unwise commitments to protect pensioners regardless of income meant that the burdens were not shared fairly across society. By 2016 this squeeze had lasted nearly a decade, exacerbated by growth of wealth in property assets in the south east of England. So even without sections of the media and politicians for whom no caricature of Europe was too extreme , no distortion too implausible there was a deeply felt sense that the economic hardship of too many communities was not being taken seriously in our politics. This inevitably fed into the EU referendum debate, and its outcome. The problem is that protesting does not change the reality of what is needed to prosper in a complex global economy. Indeed the low levels of public trust in existing structures and technical expertise make effective solutions harder to agree and implement. Data is virtual. But people are not. In parallel to the need to adjust to new global marketplace there is the continuing challenge of managing migration and social cohesion across societies and nations. Migration looks set to be the defining political identity issue of the twenty first century. People smuggling has become a highly profitable and relatively secure source of illegal earnings for criminal gangs; many developing countries are understandably reluctant or unable to receive back undocumented migrants; and travel continues to become easier and cheaper. Even without the Brexit referendum this would be a major challenge. For nearly all the postwar period politics has been about managing the economy to produce jobs, prosperity and improved public services. The goals of increased economic growth and decent public services were broadly shared – the question was who could provide them most efficiently and fairly. More intensive global trade has increased the competitive pressures on firms and countries. Technological change has speeded up the adjustments and investments needed to remain competitive, through new skills, research and technological infrastructure. Just as this economic adjustment process becomes more complex and faster this second trend – concern about control of migration – has released a disruptive form of identity politics into our national debate. This is of course a real and continuing issue for any democratic polity. The definition of who we are, how we choose to define ourselves , our traditions, values and core narrative rightly matters to people. But in itself the politics of who we think we are does not help answer the question how do we become better off. Who we are is an easy issue for people to relate to; how we best adjust to a rapidly changing international economic environment is difficult, uncertain and often raises tough tradeoffs for governments and wider societies. Preventing political debate moving away from the hard, important issues towards the easy, seductive ones – what we might call introverted politics -is a huge challenge. And it comes at a time when the workings of the British political and governmental systems have been changing profoundly. When I joined the UK civil service in the Treasury in 1980 decisions were made in writing, within a strong culture of government secrecy – otherwise harmless notes and analyses were regularly classified as restricted or confidential. There was a complex system of official and Ministerial committees to look at detailed papers on cross-cutting issues and eventually reach decisions, often over a period of weeks. Though Parliament was shamefully lacking in women, there was an accumulated experience of life outside the Westminster bubble among the politicians making decisions. Tory MPs has often been lawyers or bankers, Labour MPs teachers, lecturers or trade union officials. The small number of special advisers were for Cabinet Ministers only. The business of government was essentially conducted behind closed doors between officials and Ministers. There was a sense of the necessary continuity of government, particularly in the security and defence areas. Since then we have undergone a quiet revolution in the day to day workings of government. Its most important element is the growth in power of advisers in No 10, who often wield more real decision-making authority than senior Ministers. In parallel the Treasury has strengthened further its own control over revenue and expenditure across both central and local government outside the devolution settlements. Local authorities face ever tighter constraints. Elected metropolitan mayors in England have only marginal revenue raising powers, a limitation which no other western European country accepts. The 1980s system of exchange of views across departments and ministers, committee discussion, agreed conclusions put to the Prime Minister with expectation of agreement is no longer with us. It was not of course a golden age. But we are left today with a formal system of Ministerial responsibility for spending and policy far removed from the reality of centralised, often short-term and media-driven decision making within 10 Downing St. This has led to several serious problems in the workings of government. First the size of the centre has increased. The Prime Minister’s Office was around 70 strong in the time of Mrs Thatcher in the 1980s. Today it numbers some 200. Political advisers to the Prime Minister have doubled from 20 when Tony Blair first came to power to around 40 today in the May administration. The previous limit on cabinet ministers of two political advisers is now regularly breached, and there are over one hundred political appointees across government. This centralisation of presentation and policy around the Prime Minister has inevitably reduced the authority and scope of individual ministers or departments. And decisions made by the centre across the range of detailed government business are taken on the basis of less detailed information or analysis than is available to departmental ministers. This can leave departments or agencies struggling to implement policies announced by the centre with unrealistic timescales for delivery. It has also meant that political responsibility has become more individualised, and less connected with past or future government. It is perhaps significant that not one of the last four prime ministers currently sits in either House of Parliament. National political power is increasingly seen as something to be taken, used and then left behind. Political attention focuses on media management because media profile tends to be how politicians and their advisers are judged within Westminster. Any national political system will struggle to manage the challenges of economic globalisation, related migration pressures and wider identity issues. The UK choice of informal centralisation of power around a Prime Minister makes this harder to achieve in a way which maintains wider national support for difficult decisions and the compromises they require. And this has proved particularly true of relations with Europe. Since its inception the EU has provided its member states with a structure to achieve more shared control over global economic issues. As a bloc the EU is the world’s largest trading area for goods and services, and increasingly a unified space for data, innovation and research. It sets regulatory and competition standards which have global reach; achieves trade and investment deals which reflect its economic weight; and can influence developing countries through both trade and aid policy. The EU single market led to a massive sustained integration of UK manufacturing and increasingly services into the wider EU economy, reducing prices and widening business opportunities. Global investment in Britain followed as transnational firms began treating the EU as a single economic space. Trade flows across the Channel have tripled in the last 25 years, and over a hundred thousand firms now do business in Europe without even keeping records of it. For a generation, people, investments and increasingly data have moved freely across European borders that no longer have much economic meaning. Half of the UK’s international investment comes from EU countries and is part of integrated supply chains – investment and trade go together. But the EU is also complex, slow, inefficient and constantly compromising. Easy to criticise, and never living up to its full potential. Market integration also required an explicit acceptance of a shared legal framework, which was not part of the UK’s own heritage. So when frustrations with the pressures of globalisation, poor national economic management and fears about migration came together there was little active support for the EU in UK national politics; indeed careers had been made on criticising it. During the referendum too many politicians were ready to promise voters all the advantages of EU membership without any of these real-world drawbacks. And the EU has been an easy scapegoat for migration and identity fears, even though the UK is not part of the Schengen borderless area. It is striking too that in other EU member states where migration has become a disruptive political issue a distinction is usually made between European migrant workers and those from third countries. This distinction, which of course exists in European law, has never been widely accepted in England. The majority of migration to the UK has been from outside the EU, but the EU has been a convenient target for criticism. It is increasingly clear however that movement of workers to the UK in sectors from social care to advanced manufacturing has become critical to maintaining both our competitiveness and social services. Outside the EU’s legal framework the UK faces tough choices between economic prosperity and more protectionist models of national identity. To return to the issue of EU membership, which would require a further referendum. Achieving a different result would require a new political consensus that the economic costs of leaving are too great, and that the political structures of the EU are fundamentally acceptable. Or we decide that the benefits to our standard of living justify seeking a formal link with the European Union through customs union, single market and trade deals – broadly the EEA model. Outside the EU we inevitably have less control over decisions which affect us, but accepting them still brings a clear economic benefit . This approach is, understandably, being defined by those who voted to leave as not really doing so – retaining the disadvantages of EU membership without a seat at the table. Or we can decide how far we move away from our existing economic integration into the EU, accepting that there will be slower growth, lower investment and employment, a skills shortage, higher taxes to fund public services and a talent drain out of the UK due to the competitive disadvantages of this course; but decide this price is worth paying to help a separate identity narrative to grow up in Britain, or at least England. Assuming we leave the EU next March, difficult relations with our former partners look inevitable for years ahead. Decisions taken in Brussels are going to affect UK businesses and individuals, and Westminster will resent losing control of those decisions. Moreover EU rules on environmental standards, medicine safety, intellectual property, data protection, mergers policy, chemicals, professional standards and many others will continue to be followed in the UK if only because business does not want a plethora of different standards; but following them will no longer offer automatic market access within the EU unless we change our position on the role of the European Court of Justice, the application of EU law within the UK and in practice accept continued free movement of workers. There will be a strong temptation to attack our erstwhile partners for the decisions they make with which we disagree. The process of negotiating detailed and legally robust individual agreements between UK and EU regulators will inevitably be long and complex, and will not be a negotiation between equals. Even an EU-UK free trade deal is likely to need around five years of technical negotiation – the EU-Canada deal took more than seven years. Such a deal would formalise the loss of UK influence over EU decision-making. Departure from the EU will also be a major distraction from adjusting to the disruptive impact of artificial intelligence on existing employment patterns. Artificial intelligence and the internet’s growing capacity to handle big data are further integrating services and physical goods, making any distinction between them harder to sustain. These trends make the current role of our universities and research institutes, often taking a leading role in European programmes, more critical – just as Brexit threatens to limit their involvement in EU research. Similarly, the UK’s growing digital companies face new uncertainties about data protection rules and the extent of their access to the European market. UK innovation and tech startups will inevitably be constrained by Brexit. Less successful economic performance means more pressure on public resources for health, welfare, education and other priorites. This is turn makes the identity based debates we now face harder to engage with, requiring restraint from politicians and media. To manage migration fairly; to balance social and religious tolerance with genuine equality between men and women, including in education; to strive for objectivity in separating fact from opinion – even the best responses are inevitably imperfect. We need politicians prepared to risk public criticism as they engage with them. The shelving of part two of the Leveson report on how the media operate was not a promising sign. So our national political system has become less able to respond effectively to these challenges just as the EU referendum outcome adds an additional layer of toxic political argument. Noone plausibly claims that the UK’s ability to manage globalisation and national identity issues will be solved through even more centralisation of power at Westminster. So part of the post-referendum settlement must be a change in how political power is distributed within the UK, to genuinely give citizens more control over local decisions. To restore more balance to national government requires less centralisation around the Prime Minister’s office, and more scrutiny over how that power is used. It means cities, regions and the devolved nations having a guaranteed space within which to make their own decisions on taxation and spending priorities, a model familiar to every other liberal democracy. The alternative is a prolonged period of inward-looking identity politics, focussed on control of power in Westminster. This will make it harder to achieve sensible decisions on economic issues. Identity- based national politics are incapable of doing justice to the complexity and interdependence of the global economy. Under economic pressure and social discontent identity politics moves easily from a discussion of who we are to a focus on who we are not – and that search for the other to condemn as a way to define ourselves is as we know a deeply dangerous path to take. Leaving the European Union is itself a statement of separation which requires justification through discovered difference, adding to the populist temptation in Westminster. Devolving more fiscal and policy decisions away from Whitehall is therefore urgent if we are to combat this trend. Even within the existing constitutional settlement there are other options open to different parts of the UK which need to be considered seriously. Northern Ireland, for reasons we all understand, has a special status in the EU withdrawal talks. Uniquely, to be consistent with the terms of the 1998 Good Friday/Belfast Agreement, it has been offered by Brussels the option of remaining within the single market and Customs Union should it wish to do so, in order to ensure no new regulatory barriers on the island of Ireland. Given the massive economic advantages to being inside the EU economically, without any change of constitutional status within the UK, I would expect the Northern Irish to choose this option at some point in the coming years. The economic benefits of so doing are substantial and lasting, making Northern Ireland significantly more attractive for investment aimed at the EU single market. Politically its status as part of the Union would remain unchanged, consistent with the terms of the Belfast/Good Friday agreement. If the current lack of an Executive and Assembly in Belfast persists, one option would be a Northern Ireland specific referendum on this issue, to provide democratic confirmation that Northern Ireland remains opposed to new regulatory barriers with the Republic, and by extension with the rest of the EU, whatever the rest of the UK may choose to do. Northern Ireland remaining within the single market would of course have competitive implications for Scotland. There is I believe scope under current devolution to seek to align elements of already separate Scottish law and practice with EU regulation; and there is a grey area as to how far this process might legally go. Others in the EU would be politically sympathetic to a Scottish desire to remain closer to EU rules. Brussels would have some scope for discretionary responses to recognising Scottish qualifications across the service sector for example – legal services and medical professions being two potential areas. Scotland could also choose to contribute to particular EU spending programmes in research and higher education and remain more closely connected to them than England. Many in Brussels would welcome the opportunity to show positive flexibility in response to a political overture from the Scottish government, not least as a reminder to London that more could be achieved through constructive engagement. The more fundamental choice for Scotland of explicitly accepting the direct effect of EU law on Scottish law would change its relationship with the rest of UK and raises issues beyond the scope of this lecture. Its practicality would be affected by how the Irish border issue is finally resolved and how far similar arrangements could be envisaged for Scotland. The evidence in the 2016 referendum and subsequently of a settled majority for continued EU membership in Scotland cannot be ignored. So within the current devolved settlement I would expect a continued engagement between the Scottish government and Brussels on these issues over the coming years. This could be particularly important for the higher education sector in terms of access to EU programmes, free movement and residence rights for researchers and shared intellectual property protection. The 2016 EU referendum was a symptom not a cause of these identity issues and sense of economic exclusion. Its result makes them harder not easier to resolve. The evolution of national UK politics towards prime ministerial centralisation has reduced trust in our system’s capacity to connect with what is happening across the country, and weakened its ability to build consensus on how we best tackle hard issues. As we have seen over the last two years since the referendum, this combination makes effective decision-making difficult. The short-term prospect for UK national politics is I fear for more of the same. Over the next decade however we may be entering a period of political change as fundamental as that a century ago for the shape of the United Kingdom, its internal political and economic structures, and its view of itself. The outcome may be better or worse, depending on whether we find a way of agreeing on our shared and separate identities, and our willingness to share power both inside the UK and through European structures in order to maintain some influence on an increasingly non-Western world. What is clear is that economic prosperity can no longer be treated as a primarily technical issue, managed remotely from the people it affects. Nor can it be achieved by pretending that the world is other than it is, or that tales of Buccaneering Britain will pay the bills. We now need a political debate which brings identity and economic reality together in real choices. The longer we leave this, the harder those choices become. And Scotland can through its national decisions help us all find better ways to reverse the wider loss of trust in our political system.